It’s been an exciting year, culminating in the launch of our new website! Explore the first of many stories and our now Open iconography and policies. This slideshow explains more about our new trajectory, and of course, our history. Our thanks to our dev team and Pair Networks for their ongoing website hosting. While our original mapping platform, the Open Green Map, has crossed the 41,000 sites milestone, we are happy to report that OGM2 is in development, with beta test release planned for spring. Your donations will support its full vision! In 2018, new Green Map projects were started in US, Colombia, Guinea, Ireland, UK, Germany, China, Korea and Taiwan - each offers hope to all local people! 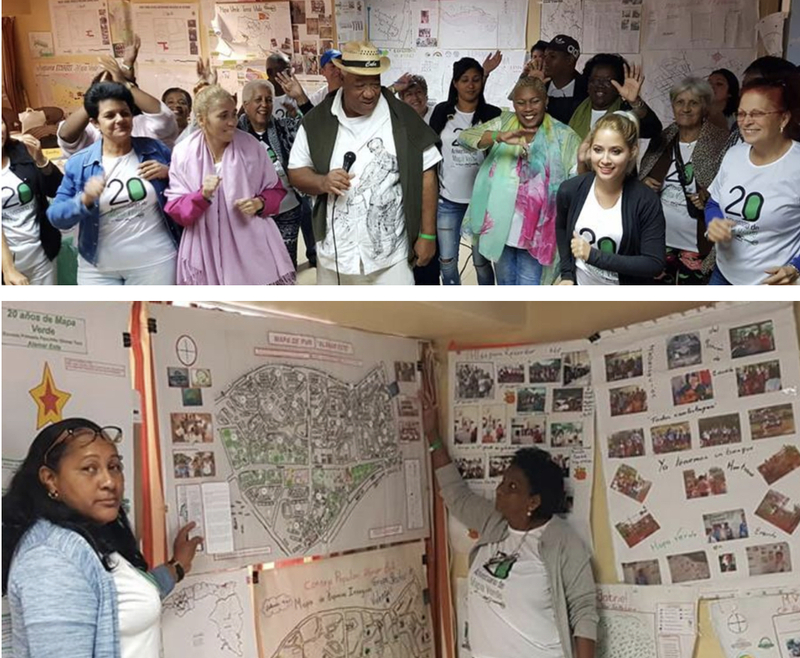 Cuba celebrated 20 years of Green Map this month, with dozens of people from across the country gathering in Havana for a major Mapa Verde exchange and assessment. Watch for their documentary film in 2019 - we can’t wait! Our director was Keynote speaker at the 2018 commencement for The Parsons School of Strategic Design! Wendy Brawer spoke of the graduates’ dedication, strength and values in this turbulent time. She also took part in the school’s Climate Crisis week in the fall, involving Sustainable Systems students in the quirky #animatechange campaign. There are nearly 4 million views of these climate-action oriented GIFs - use them in your social media messages! Our own local NYC Green Map project is part several placemaking initiatives, including the Stanton Building Task Force. In November, removed closer to reclaiming this former rec center as the City confirmed they are moving out, and construction on new public restrooms will begin in early 2019. Your support accelerates all this momentum - thank you! Your year end donation will make our 2019 efforts all the stronger! Thank you for pitching in with us.